The property pages made such grim reading that Slim decided to shelve his dream of becoming a snail. 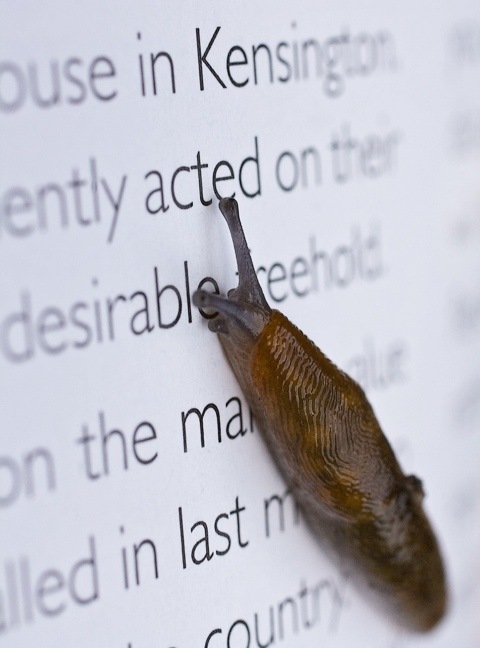 This entry was posted in humour, photography and tagged housing market, humour, joke, macro, photography, property pages, slug by Rachael. Bookmark the permalink. Nice one made me smile (and I needed that today)! Thanks, Karen. I hope today was better? well done on the depth of field!!!! !